On December 1, 2012, the Annie E. Casey Foundation released a report drawing attention to the 6.5 million “disconnected youth” in America — young people ages 16 to 24 who are both unemployed and not in school. This population of young people is a serious concern in communities across the country. Youth who lack job skills and early work experience struggle to find jobs and advance in their careers, making it much more difficult for them to earn a good living later in life. The large number of disconnected youth caused us to wonder how they are faring in rural communities. We did some calculations using American Community Survey data, focusing on disconnected teens age 16-19. We found that nearly half of all disconnected teens in the U.S. reside in rural and mixed-rural counties and that these counties experience higher rates of disconnected teens than urban or mixed-urban counties. Read on for details and for resources to reconnect youth to work and school in your community. The disconnected teen rate was between 8% and 37% higher* in the most rural counties than in the country in general. It was between 7% and 8% higher* in mixed-rural counties (counties that had slightly higher population densities and some larger towns than rural counties, but no major cities). While 42% of teens ages 16-19 live in rural or mixed-rural counties, almost half (48%) of all disconnected teens in the U.S. live in those counties. From 2006-2010, approximately 236,000 (+/- 12,000) youth ages 16-19 living in rural or mixed-rural counties were not in school and not working. When compared to the country as a whole, teens were between 16 and 34% more likely* to be disconnected in the East South-Central region, 8-14% more likely* to be disconnected in the South Atlantic region, and 3-18% more likely* to be disconnected in the Mountain region. Young people were 4-25% less likely* to be disconnected in the Mid-Atlantic region. These trends generate cause for concern for all rural communities. Youth who drop out of school or who lack early work experience are more likely to endure later unemployment and are less likely to achieve higher levels of career attainment. At the same time, employment programs underserve young people for whom long periods of unemployment or lack of education can have multiplier effects on their lifetime income and well-being – and rural places have fewer youth employment programs to begin with! As disconnection rates persist, our communities suffer in the long run. To ensure that our communities stay resilient, it is critically important that we design family economic success programs and resources with our young people in mind. * Notes: Our findings are reported as ranges to properly account for the margin of error in the 2006-2010 American Community Survey county estimates. The errors are larger (see rural counties) when there are smaller sample sizes in a given geography. County types were classified based on the work of Andrew Isserman. Regions are defined by the Census Bureau. For full data and methodology, contact csg@aspeninst.org. Check out the KIDS COUNT Data Center to find out how many youth in your state are disconnected from work and school. Then contact your KIDS COUNT State Organization to find out who to connect with to tackle this complex challenge. 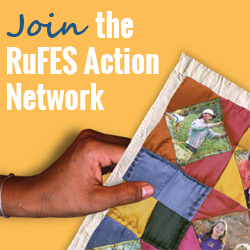 Look out for a future RuFES Alert about the Opportunity Youth Incentive Fund, a funding opportunity from the Aspen Forum for Community Solutions and its partners. The goal for this funding collaborative is to invest in and develop evidence of success for implementing, “Collective Impact for Opportunity Youth.” The fund will provide grants of up to $500,000 to a selection of both rural and urban communities where there is already some existing collaborative momentum for reconnecting disconnected youth. Local communities will match fund resources and participate in a learning community with other grantees. Find Action Ideas that will help keep youth engaged and on-track for success. We provide program ideas like job coaching, contextual vocational education, pre-college assistance, and career mapping, and suggest ways that you can link these programs to other family economic success initiatives.